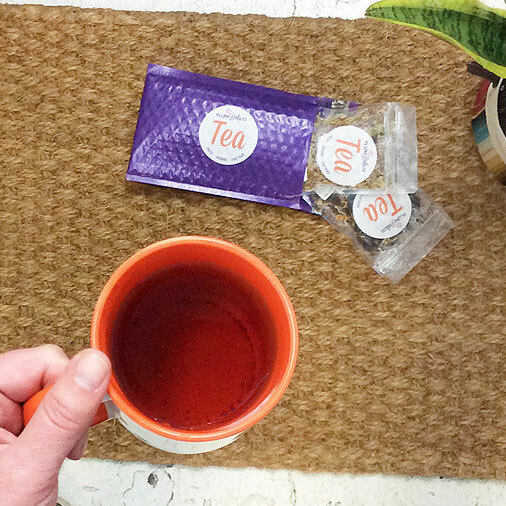 April means that spring is in full swing. Birds are flitting about, early spring blooms are pushing their way out from the newly defrosted ground. 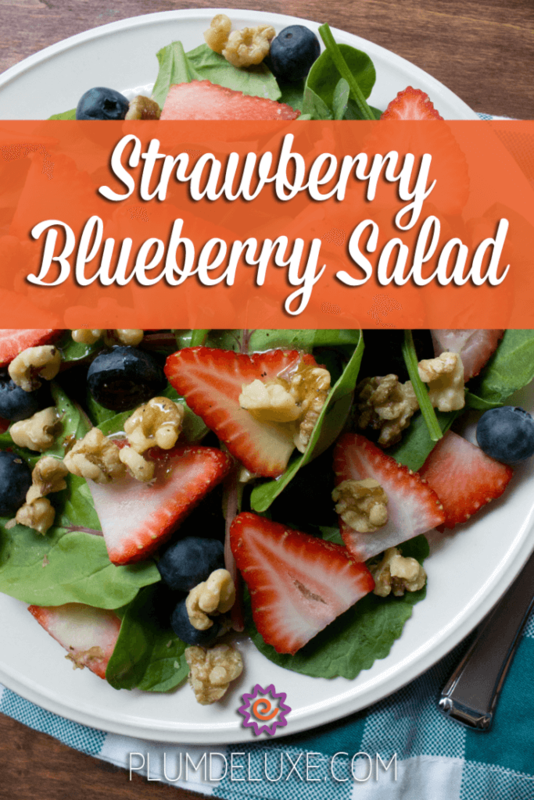 We are all getting excited for warmer weather, fun spring activities, and of course all the amazing flavors of spring — like the ones found in this strawberry blueberry salad with honey vinaigrette dressing. Now is the time of year when we are finally getting more than over-wintered root veggies and greens at the farmers markets. There is actual color starting to show up! 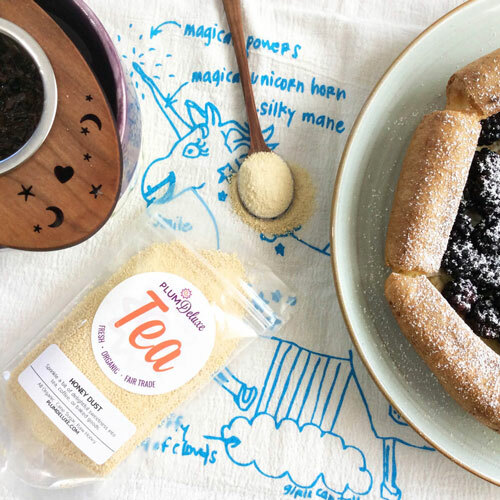 It couldn’t be a more exciting or a more perfect time to start rethinking the tired tea party and dinner party menus that you’ve been using all fall and winter. It’s time to toss out those savory squash and heavy root vegetable dishes in preference to some lighter and brighter fair. 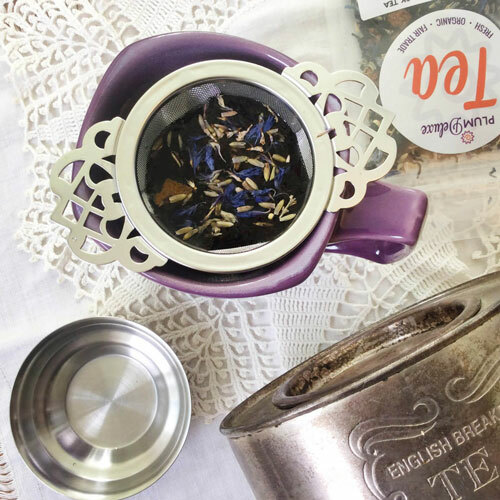 Start with this bright and fresh strawberry blueberry salad, then trade in those traditional tea sandwiches for something a little springier like these fruity tea sandwiches. Up the ante with some fancy shmancy spinach artichoke dip bites and round out your fun new spring menu with a delicious matcha layer cake. 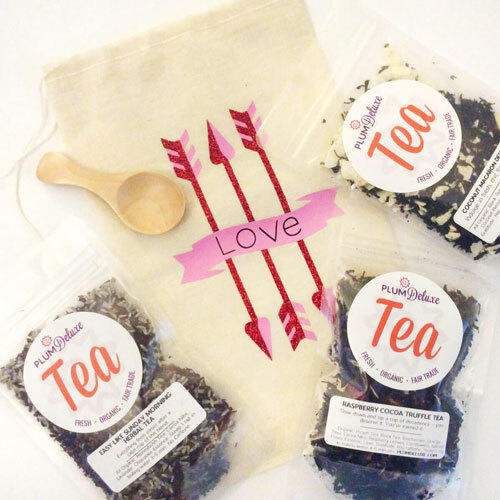 For teas to add to your menu, try a bright floral tea that will give a nice balance to this fruit-forward dish like our Garden Grove green tea or a soothing Vanilla Latte black tea. 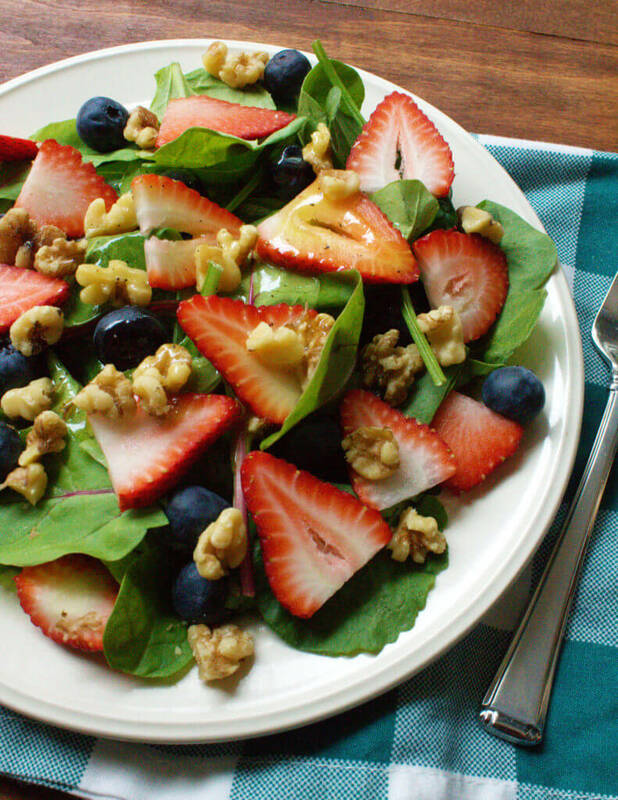 All together this menu will definitely give you the spring boost you and your guests have been craving after a long, cold winter — especially with a star such as this strawberry blueberry salad. It’s got a fresh and fruity feel that’s balanced with a spicy bed of crisp spring baby greens. There is a bit of crunch added with a dash of walnuts and it’s all finished off with a healthy drizzle of sweet honey vinaigrette, a final touch that will leave a lasting impression. In a bowl or small jar, combine the vinegar, honey, mustard, olive oil, and salt until well blended. Set aside. Divide the mixed greens amongst 4 plates and equally divide the fruit and nuts on top of each. 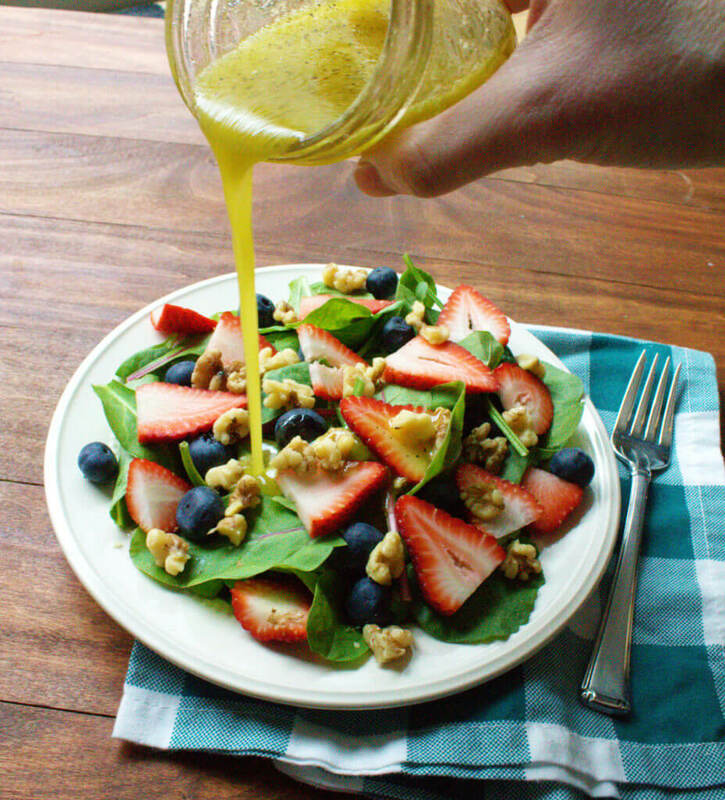 Drizzle about 1 tablespoon of the combined honey vinaigrette on top of the fruit and greens.